Using a gaming controller when playing your favorite games on PC can make the gaming experience more enjoyable. Microsoft‘s Xbox controllers can be used when playing PC games as well, but there are also many interesting third-party gaming controllers you can choose from. As always, when the offer is generous, choosing the right gaming controller can be difficult. We’re going to make it easier for you and list the best Windows 10 gaming controllers in this article, as well as their main characteristics so that you can choose the controller that best suits your needs. Microsoft promises this gaming controller will help you to unlock your full potential as a gamer. The Xbox One Elite controller adapts to your unique style of play, offering excellent accuracy and impressive control speed, helping you to crush competition. The Hair Trigger Locks allows you to fire more quickly and save valuable time with each trigger pull. Customize your controller with a dedicated app: adjust trigger min/max values, thumbstick sensitivities, button assignments, assign any of 14 inputs to the ABXY buttons, paddles, D-pad, triggers, and thumbstick clicks. Compatible with Windows 10 via USB or the Xbox Wireless Adapter sold separately. You can buy the Xbox One Elite controller from the Xbox Store for $149.99. You also can find it on Amazon. Windows 10 is the most popular OS on Steam, and the combo between Microsoft‘s OS and Valves‘ controller can be a deadly one for your competition. The Steam controller uses high-precision input technologies and focuses on low-latency, and wireless performance for best gaming results. This controller is different, so you may need some time to get used to it. Dual trackpads, HD haptic feedback, dual-stage triggers, back grip buttons, and fully-customizable control schemes. Estimated 5 meters of wireless communications range. A computer compatible with Steam Big Picture Mode is required in order to view, edit, save, and share Steam Controller mappings. Razer Wildcat is a controller that impress through design and performance. 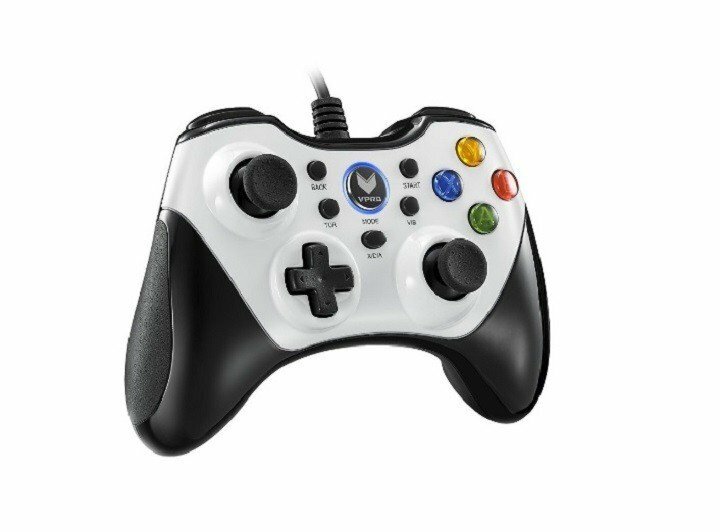 If you enjoy long gaming sessions, this controller is the right choice for you: the optional palm grips and reinforced wired connection offer you extra control while gaming. You can also create dedicated button layout profiles for each and every game. The built in quick control lets you adjust a variety of features without taking your hands off the controller during games. Reinforced high carbon steel analog stick necks, removable aircraft grade aluminum triggers, and optional palm grips for better control. Zero slow-turn analog joysticks, 4 additional fully-programmable buttons, 2 removable Hyperesponse Multi-Function Triggers, 3.5 mm audio port for stereo audio output and microphone input. 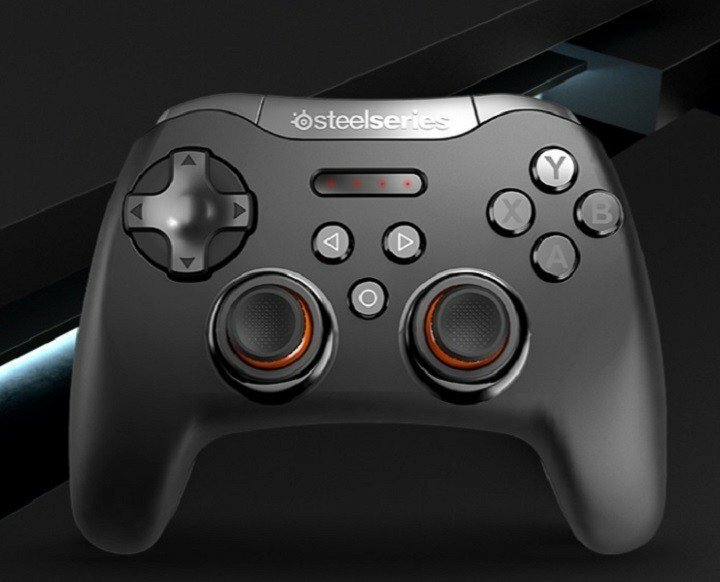 SteelSeries Stratus XL is a very versatile controller that works great with Steam Big Picture mode. This gaming controller supports Windows, Android, Samsung Gear VR, HTC Vive, and Oculus. The Stratus XL’s ergonomic design is one of its main advantages, as it fits perfectly in your hands and won’t cause hand cramps even after hours of gaming. Four easy-to-read LEDs inform you about the status and connectivity of the controller. The controller‘s battery autonomy offer you over 40 hours of gaming experience. Change the actuation point on the triggers for a shorter or longer pull with SteelSeries Engine 3. 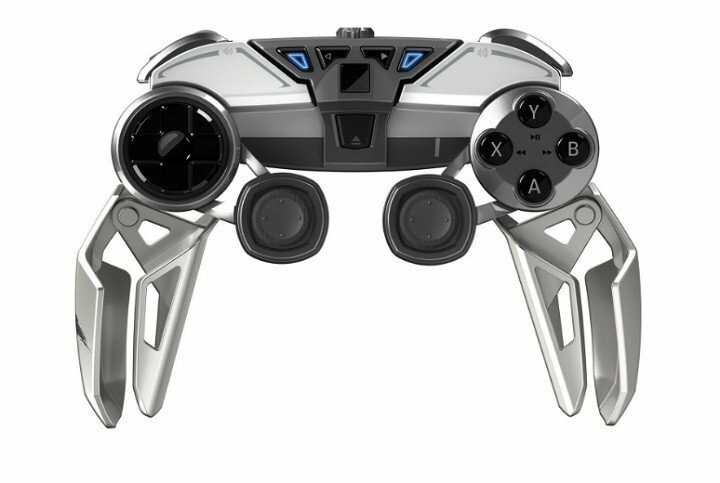 This gaming controller literally looks like the flight control system of an alien spaceship. Its unusual design is the first element that attracts gamers’ attention, as you can easily fold it and put it in your pocket. Keyboard and mouse control-full QWERTY keyboard is available, allowing you to type in-game messages or post on social media without getting your hands off your controller. 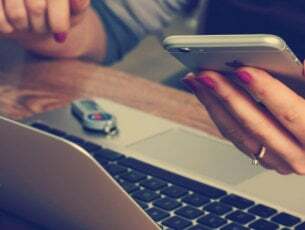 Built-in Mic-Ideal for calls and Internet searches via voice control. Dedicated programming software to assign keyboard and mouse profiles to buttons and sticks. 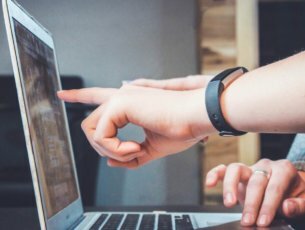 Firmware updates arrive via Windows PC software. Perfect match for Alienware gaming products. Vibration intensity adjustment, vibration frequency adjustment. Built-in 800mAh polymer lithium battery lasts for 18 hours. Automatic sleep mode is also available. Pressure sensitive D-pad, 360-degree without dead zone analog joysticks of high sensibility and unique design of triggers R2/L2. A changeable position of D-pad. This gaming controller was launched in 2010 but remains one of the most reliable and popular controllers. Logitech Gamepad F310 supports both new games and old favorites and lets you customize the controls for a better gaming experience. Simple plug-and-play USB connection with a 1.8 meter long cable. This controller works on Windows 10, but you’ll first need to install the DirectX 9.0c or above. If you’re looking for a controller to use on both on your PC and console, ZD-V+ is not the right choice for you, as it’s not compatible with Xbox 360 or Xbox One. 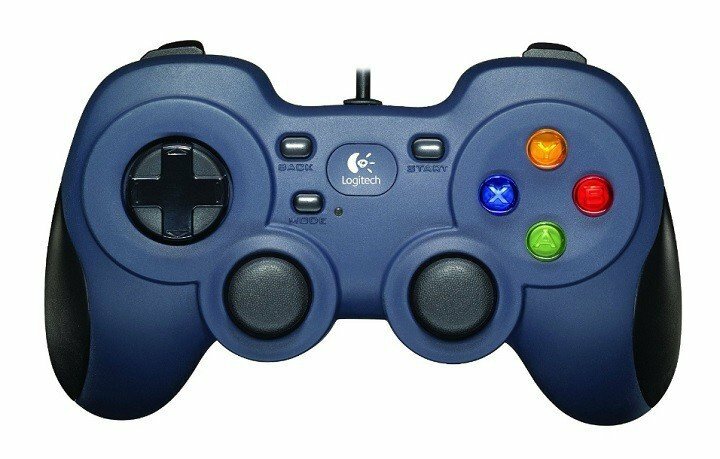 This controller has an amazing modern design and its capabilities impress users: “Most games support it right off the bat as well […] so no messing about with mapping buttons etc. In its price bracket you wont find a better control pad for the PC. It is even better than some of the high end ‘pro’ gamepads out there”. , another interesting controller manufactured by the same company. The Beboncool gaming controller is an interesting device whose price tag doesn’t do it justice. 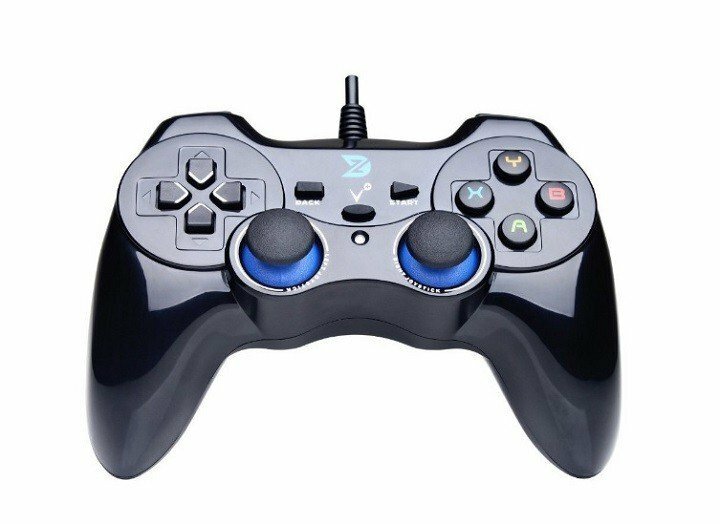 Although this controller was mainly built for mobile gaming, you can also use it when playing Windows 10 PC games.It supports wired connection for X-input, D-input Windows PC games, and the gamepad can support PC-USB gamepad functions. The built-in lithium rechargeable 400mA battery should be enough to offer you a 5 to 8 hour autonomy. The Beboncool app is a bonus and allows users to access various games compatible with bluetooth controllers. Ergonomic design with a nice grip, the buttons are very responsive and the joystick moves smoothly. This controller promises that each hit, crash and explosion will feel almost real thanks to the impressive vibrations it can deliver. The ergonomic palm rest allows you to play your Windows 10 games for hours on end without getting any hand aches. The precise thumb sticks, two pressure-point triggers and the 8-way directional pad help you guide you characters to victory. We hope this article about the best Windows 10 gaming controllers helped you to decide which controller to buy. If you have other suggestions for this top, share your thoughts in the comment section below.